His words come back to me every year during Holy Week. They remind us that discipleship always has a cost. No Christian ever lives the Gospel without eventually encountering the cross. During the Triduum — Holy Thursday, Good Friday and Holy Saturday — the Church invites us to remember that sin is real and that only blood can redeem it … but also that God loves us so deeply that he sent his only son to offer himself for our deliverance. In giving his life for us, Jesus asks us to live our lives for others. He asks us to share in his work of redemption. That’s why the Gospel is never merely a call to be “nice” to others. There’s nothing sweet about Golgotha. Life in Jesus Christ is a call to heroic and self-sacrificing love. If we want to rise with Jesus on Easter, we also have to share his work of salvation on Good Friday. Of course, the nature of “everyday America” in 2012 is that we all live our lives in routines — routines that tend to dull us into self-absorption at work, at play, in our families, and also in our religious faith. Even the broken body of Christ on the cross can become a standard piety, an object of devotion that doesn’t really touch our hearts. That’s why these days of Holy Week are so vital. Holy Week is the most sacred time of the year. It’s a time to wake up from our routines and shake off the distractions of daily life — and to concentrate on the One in whom we anchor our hope. This year, listen to the word of God with new ears. Make some personal room for silence this week. Read and pray over the Gospel accounts of the crucifixion. Venerate the cross. Remember the price paid for your redemption. Understand how zealously God loves you … and when you do, you’ll begin to understand the meaning of the Gospel and the urgency of your own vocation to bring the fruit of God’s love — new life in Jesus Christ — to others. Good Friday is an end: an end to death; an end to our old selves and our old selfishness. Easter Sunday is a beginning, the beginning of a new and “unspeakable joy” for each of us and all of us. The sorrow of Holy Week is the doorway to something infinitely more beautiful. So may God grant you and your family, and all of us, a blessed Holy Week — and a holy and joy-filled Easter! 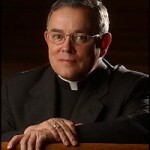 For previous columns from Archbishop Chaput, click here. Its always great to listen to and read the Archbishop’s words. I cannot wait till he is elevated to a Cardinal. 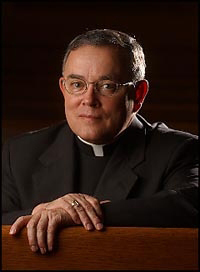 Both him and his friend Cardinal Sean O’Malley are the best Capuchins to come out of USA. Amidst the sexual abuse scandals he is a great inspiration to us all. He can keep the church alive and growing despite this! For this I pray hat one day he will become the Pope for Christianity and the Pope for the whole world. You are so right! His holiness and zeal for the fiath give e and so many others hope for the rebuilding. a true Capuchin! The Holy Father reflected on “fire” in his Easter Homily and I thought of your continuous refernce to fire. I pray that your zeal for the Lord set many hearts on fire this year! Thank you for bringing that fire to the Northeast! Thanks for the great reflection, Archbishop Charles. I’ll be praying for you and the people of Philadelphia this Holy Week.